Stem cells are natures pharmaceuticals and are found in all multi-cell organisms on Earth. They are characterized by the ability to renew themselves through mitotic cell division and differentiate into a diverse range of specialized cell types. MSC CD34+ Expanded Adipose or “Fat” Stem Cell Therapy uses laboratory enriched somatic stem cells that are found in human fat tissue. Good sources of Fat Stem Cells include belly fat, inner thighs and hip areas only. ASCs are cells that abundantly exist in tissue, and therefore, they are ideal as a cell source in the field of regenerative medicine. 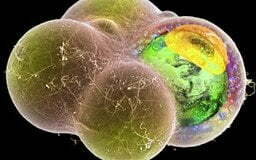 – Embryonic Stem Cells that are isolated from the inner cell mass of blastocysts. Embryonic stem cells are not present in the adult human and can only be obtained through the destruction of a human embryo. Thai Medical does not use/offer Embryonic Stem Cells Therapy. 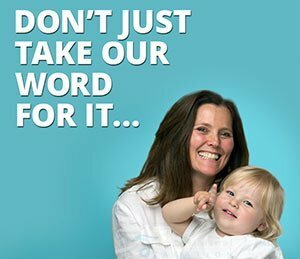 All our treatments all use Adult Stem Cells (ASC’s) from Fat,Peripheral Blood,Cord Blood, Placenta or Dental Pulp only. –Adult Stem Cells are found in many area of the human body. These repair cells are present in your blood,dental pulp,bone marrow,placenta,amniotic fluid and umbilical cord. Adult Stem cells can be cultivated and transformed into specialized cells with characteristics consistent with cells of various tissues such as muscles or nerves through cell culturing,activating and expanding. 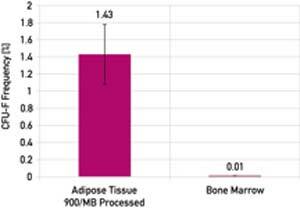 Adipose (Fat) Tissue Yields an Abundance of Adipose Cells when compared to other sources such as bone marrow. The vast amounts of adipose tissue (depots of fat for storing energy) especially in the abdominal region, by sheer volume of availability, ensure an abundance in numbers of ASCs ranging in the millions per unit volume. In addition, we harvest the ASCs from adipose tissue through a simple, minimally invasive mini-liposuction performed by a certified plastic surgeon under general anesthesia. This option of gathering stem cells is relatively easier, painless and poses minimal risk to the patient compared to all other possible gathering methods. Adipose tissue ASCs (AT-ASCs) are extremely similar to stem cells isolated from bone marrow (BMSCs). The similarities in profile between the two types of ASCs range from morphology to growth to transcriptional and cell surface phenotypes. Their similarity extends also to their developmental behavior both in vitro and in vivo. This has led to suggestions that adipose-derived stem cells are in fact a mesenchymal stem cell fraction present within adipose tissue. 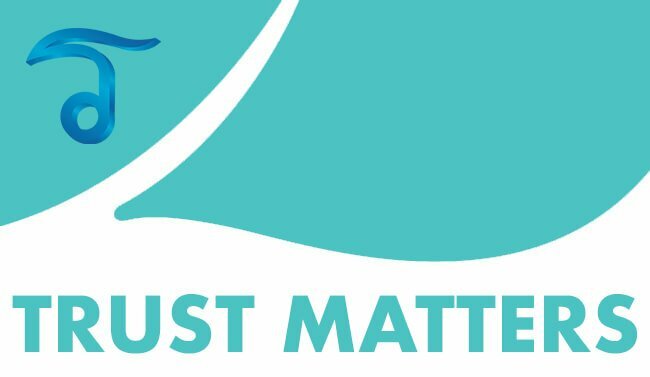 Harvesting Stem Cells: TMV approved doctors use a proprietary liposuction technique that can collect around 100cc-300cc of “fat” adipose tissue from the abdominal or thigh are ONLY. Additional fat or stem cells can be harvested use in stem cell banking or additional cosmetic procedures. Separate Fat from Stem Cells: Using a flow cytometer our state-of-the art stem cell lab separate SVF or Stromal Vascular Fraction from fat cells. Isolate Stem Cells: Adult cells and progenitor cells are isolated from SVF. 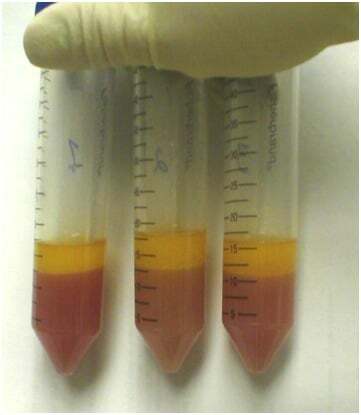 Washing of Stem Cells: The Adult cells are cleaned/washed to remove any left over Collagenase. 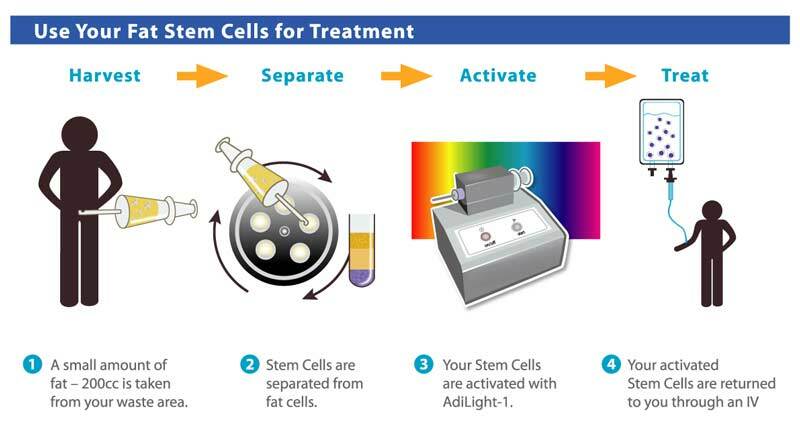 Activate Stem Cells: The isolated cells are suspended with your PRP or platelet-rich-plasma along with other growth factors to activate the dormant cells. OPTIONAL – Cryogenic Banking of Stem Cells may be required for those with serious degenerative medical conditions or genetic disorders that may require multi-stage treatment protocol. Options for short treatment protocols. Starting from 4 nights for Cosmetic and 7 nights for medical. Exclusive “Additional Expansion Stage” for Culturing Cells for Optimal Results. Countries like the United States and Australia Do Not Allow Expansion of Autologous Stem Cells thus making the results not as effective as our Mesenchymal Expanding Protocol. Autologous cells = Very low risk of any immune rejection. Minimally invasive performed on an outpatient basis. Significantly less pain when compared to Bone Marrow derived stem cells. We can now obtain adult mesenchymal stem cells from your adipose fat tissue using a patented and minimally invasive mini-liposuction technique in a closed-system lab in Bangkok. 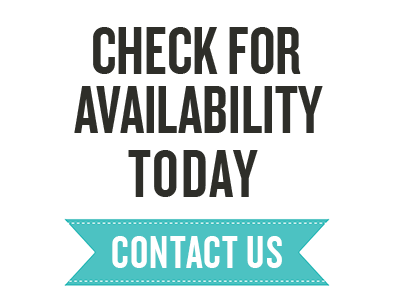 Our treatment enables faster results with very little downtime,discomfort and no side effects. We culture and expand the stem cells to provide our clients with large medical grade quantities of mesenchymal adult stem cells. Please dont be fooled by imitation cosmetic surgery clinics that do not adhere to good cell manufacturing processes in a proper closed system lab environments. IS Autologous Stem Cell Therapy Safe? Is adipose stem cell therapy for Cosmetic Uses only?